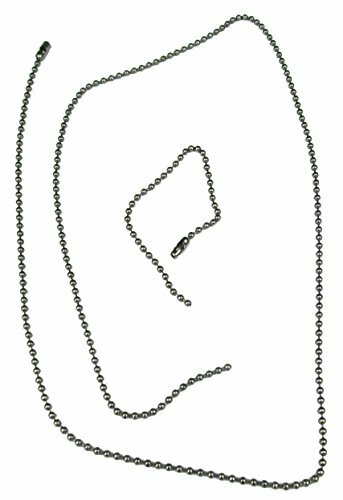 Dog Tag Chain Set - Silver - Quantity 1,000 Extra Stainless Steel Silver Chains When you order Quantity of 1 , you receive: 1,000 long chains (27" Military Standard length) 1,000 short chains (5" Military Standard length) Made in the USA Each chain includes a connector attached to one end. If you have any questions about this product by BC, contact us by completing and submitting the form below. If you are looking for a specif part number, please include it with your message.